VfL Wolfsburg are winning again. Die Wölfe defeated Hannover 96 in the Lower Saxony derby to advance to the round of 16 in the DFB Pokal on Tuesday. It was already the second victory in a row after Wolfsburg defeated newly promoted Fortuna Düsseldorf 3-0 on Saturday. That result, in particular, has catapulted die Wölfe to tenth place in the Bundesliga standings. Furthermore, with 12 points after nine games, Wolfsburg are once again within reach of the European places as they are just four points behind sixth-placed Hertha. 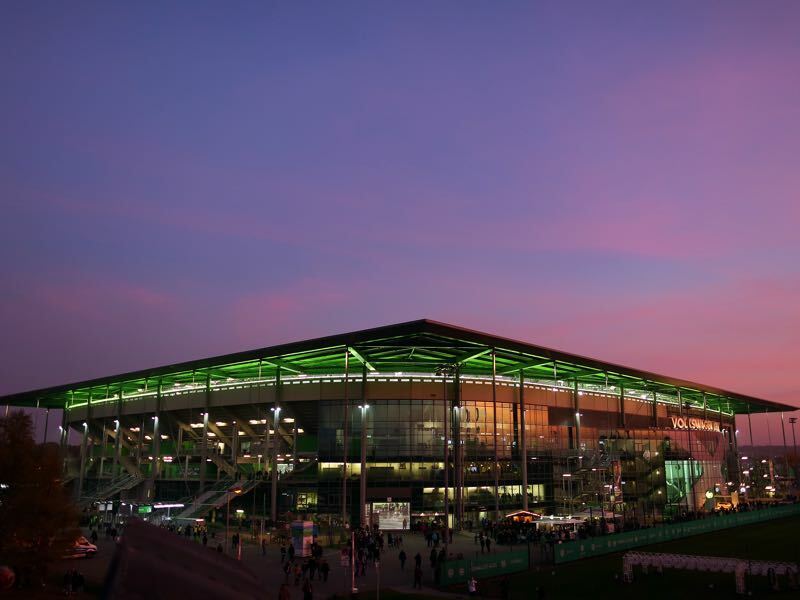 Victories against Bundesliga bottom feeders Fortuna Düsseldorf and struggling Hannover 96 are not enough, however, to suggest that Wolfsburg are back on track. Wolfsburg’s main problem this season? Lack of defensive stability and lack of efficiency when going forward as 14 goals scored and conceded attest. Wolfsburg’s most efficient player has been Admir Mehmedi – he scores a goal, or an assist every 87 minutes – the problem, however, is that the Swiss forward seldom manages to play 90 minutes. Dortmund, however, would prefer for Mehmedi not to come on at all – especially as the die Schwarzgelben have their very own injury worries. Defender Abdou Diallo, signed for €28 million from Mainz this summer, will miss the game against Wolfsburg this Saturday. It is another blow for head coach Lucien Favre, who will also have to replace Manuel Akanji and left-back Lukasz Piszczek. In their stead, Dortmund are expected to start Ömer Toprak, Dan-Axel Zagadou and Raphaël Guerreiro. While Zagadou and Guerreiro were excellent against Atlético but Toprak showed the lack of minutes midweek against Union Berlin. Die Schwarzgelben needed extra-time to wrestle down Bundesliga 2 side Union Berlin. Favre had opted to rest many of his first players, and Toprak was among the starters as Dortmund conceded twice in regular time. At the same time, Toprak is a solid defender his biggest problem will be to replace Diallo’s buildup play. No other player in the league has the ball as often as Diallo (on average 85 times a game), and 89% of his 523 passes have reached the target this season. Defensively, Toprak and Zagadou should have the ability to shut down a rather in-efficient Wolfsburg side. But without Akanji and Diallo Dortmund’s buildup play from the back will be lacking, and Wolfsburg could hurt die Borussia by putting early pressure on the defensive pairing. At the same time the return of striker Paco Alcacer as well as the likes of Marco Reus and Jadon Sancho, who did not start midweek, guarantees plenty of goals for Dortmund. Wout Weghorst has been nominated for the 31 player squad of the Dutch national team that will face France and Germany in the UEFA Nations League in November. “[Ronald Koeman] explained to me that I am close and that I should keep going. I want to be part of the team that is my goal,” Weghorst told kicker. To achieve that goal, Weghorst will have to score goals. The Dutch forward has scored four goals and two assists in his first nine games for Wolfsburg “My goal is to score 12 goals this season,” Weghorst said, so far he is right on course to achieve that goal. Paco Alcacer will finally be fit to play. The Spaniard has been on phenomenal form this season scoring seven goals in just 126 Bundesliga matches (one goal every 18 minutes). The downside has been that the Spaniard has struggled with various muscle injuries, which has been the main reason why he has just played 126 minutes in the Bundesliga. Dortmund would be more than happy for his goalscoring rate to go down slightly if it means that their top striker can finally play the full 90 minutes every game. 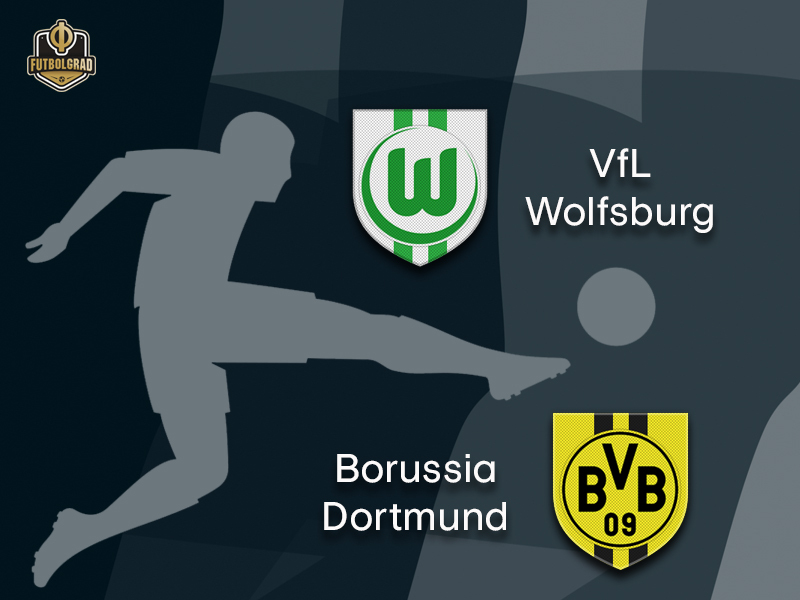 Wolfsburg beat Dortmund at the end of the end of the 2014/15 season to win the DFB Pokal. Wolfsburg’s Willian leads the league with balls intercepted (27) and most completed crosses (15 out of 50). Wolfsburg’s record at home against Borussia Dortmund is: W6 D5 L10.